A healthy spine is often over-looked and essential part of a healthy lifestyle. 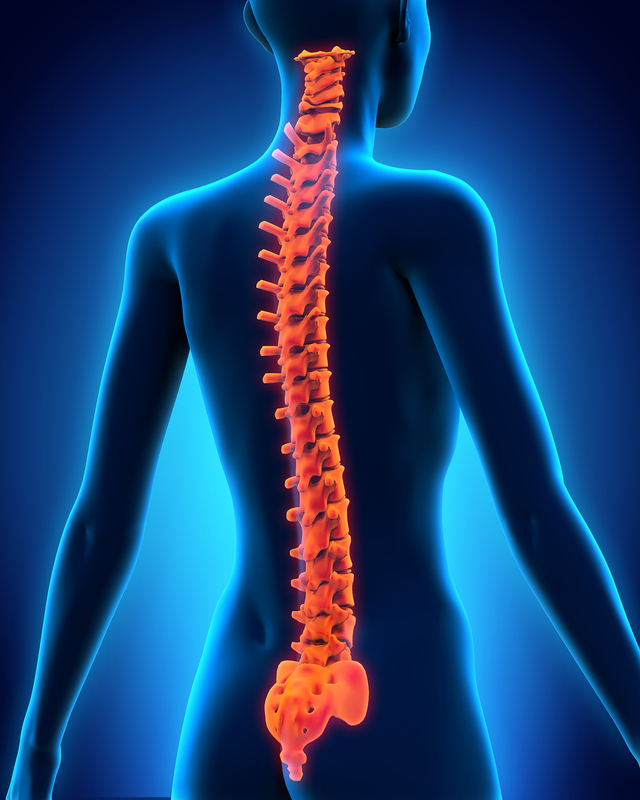 Unfortunately, approximately 80% of the population suffers from spinal pain at some point. People who are overweight or obese, and who smoke, life heavy objects, or had previous episode of back pain, are more likely to experience back pain. Because so many people suffer from spine pain, it’s important for you to try to keep you spine as healthy as possible. Following simple posture, lifting and healthy lifestyle guidelines can help you keep you back in good shape. • If you must lift a heavy item, get someone to help you. When sitting at a device, make sure your feet are firmly flat on the floor or footrest with your knees lower than your hips.